Following the release of the Southern San Andreas Super Sport Series DLC last week, which added bunch of new vehicles and a new racing mode to the game, data suggested that we’d see a change in the weekly content schedule. For long, Grand Theft Auto Online has consistently grown with one new vehicle each week when there wasn’t a major DLC, whereas from now on it would be multiple vehicles per week – and we just got our first taste of this. This week’s DLC included both the Pegassi Tezeract and the Vapid Ellie. The Tezeract, with its annoyingly stylized name, is a futuristic concept hypercar, which likely tells you all you need to know about it. It’s expensive, fast, sleek, and looks more or less exactly like any other futuristic hypercar. The big difference? It’s electric. This gives it one of the best accelerations in the game, even if it doesn’t have a competitive top speed. Oddly enough, this thing is good when it comes to ramming other vehicles, which it most certainly wouldn’t be too stellar at in the real world. The Tezeract costs GTA$ 2,825,000. Ooof. The other new car costs less than the Tezeract would if you removed its first digit and, depending on your preference, looks a whole lot better. 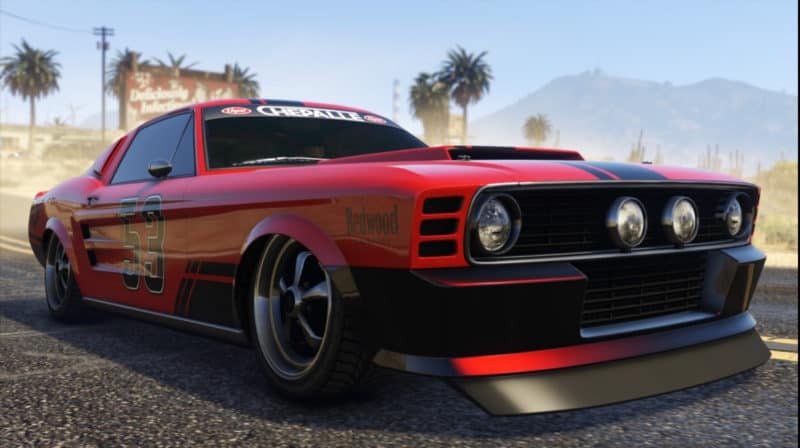 The Vapid Ellie is a muscle car that also happens to be a reference to Gone in 60 Seconds, as the default version of the car is very obviously based on Eleanor. This means that the ride is a Mustang, taking various bits and pieces from various vintages and models, and Frankensteining them together into a beautiful muscle car. The Ellie will set you back just GTA$ 565,000, which is much more agreeable and easily achievable than the price on the Tezeract. There’s more to the weekly event than two new rides. The double payout bonus on the new Hotring racing mode is still going strong until the 2nd of April, and is now joined by additional bonuses. Special Cargo Deliveries, which are already among the most lucrative activities of the game, are worth double the usual GTA$, and the salaries of bodyguards and associates – who are often invaluable when it comes to delivering that precious cargo – is also doubled. Additionally, several properties, upgrades and vehicles have had their prices reduced, in a rather drastic manner in some cases. If you want to dip into the Smuggler’s Run content, but the expensive hangars have kept you from doing so, now is your chance – the Fort Zancudo Hangar A2 is 50% off. This isn’t the only DLC-specific property, as all special cargo warehouses are also 50%, the Smoke Tree Road Bunker is 35% off and the Arcadius Business Center is 30% off. Depending on which new business you want to try out, there are plenty of opportunities on offer. The Aquarius Yacht, the most expensive of the three, is also 30% off. While some players view yachts as nothing more than a ticket to do Piracy Prevention every now and then, these floating apartments have plenty to offer for the roleplayers. This discount may seem like something you might want to pull the trigger on, but first check out our reasons why the Aquarius may not be the best yacht. The Hunter attack helicopter is also 30% off, while a 25% discount applies to a wide range of upgrades – engines, turbo, transmission, brakes, spoilers, liveries and exhausts including JATO. With this new scheme of several vehicles being released per week instead of just the one, GTA Online’s already huge library of vehicles will get a major boost in the coming months. It’s high time to allow players to purchase additional garage space, as collectors likely ran out ten DLCs ago!